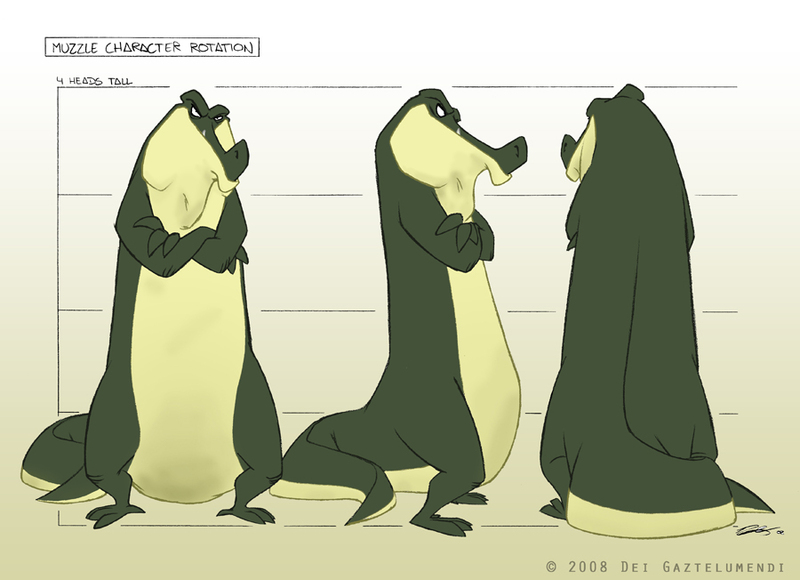 (ENG) Turn Around & Poses of Pete. (ESP) Rotación y Poses de Pete. (EUS) Pete-en Errotazioa eta Poseak. hey Dei!! how the heck are you man! Your character design work and pretty much everything else rocks! I would love to work on a project with you one day, if not a handful of people from Gobelins! Animation Mentor has been great!! The enthusiasm's around the site is fantastic, the only thing I can compare it to was everyone at summer school. I am going to post some more work up on the Summer school blog. Its been great to have a instructor/ mentor that knows what they are talking about...makes a world of difference! What all have you been up to? p.s. :Hi Toby!!! You are in Animation Mentor? Great! When i can see your animation? Hi Mauro! Long time! thanks for the comment. 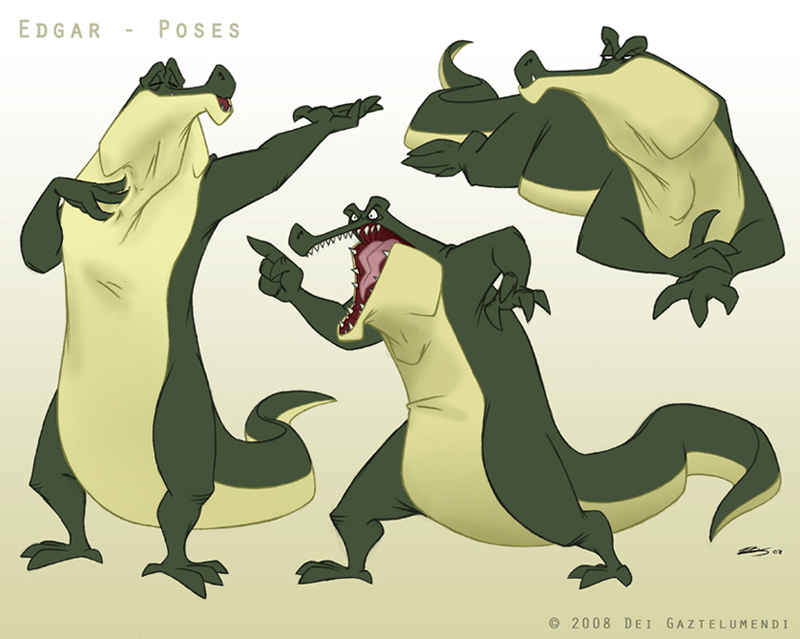 About Edgar, I kinda like the length of the body in the 2nd and 3rd poses. However I do think that the pose on the left has the body a bit overstreched.. But I wont be going that far while I animate (I'll actually have to animate this guy in a couple of weeks from now). Do you think the body is a bit too long even when is not streched? let me know. NOoooo Mauro, I haven't done any 3D animation yet (I'm looking forward to doing it tho); I'm still getting used to Maya with Modeling (I have one model posted). Mauro, I must apologyze for having bodered you, my friend, with the "link" thing. I did not ralize that you DID have me linked on your FAVS! wow, that's moving. Thank you very much. I add a comment...in the first pose of Edgar you can turn a little the chest of char to the direction of arm...i see is streched...but not turn...right? great to see your characters rendered in color~ nice works!